Definition: “Butadiene” is the head of the C4 olefins family. Butadiene is a gas that condensates at -4.5°C. 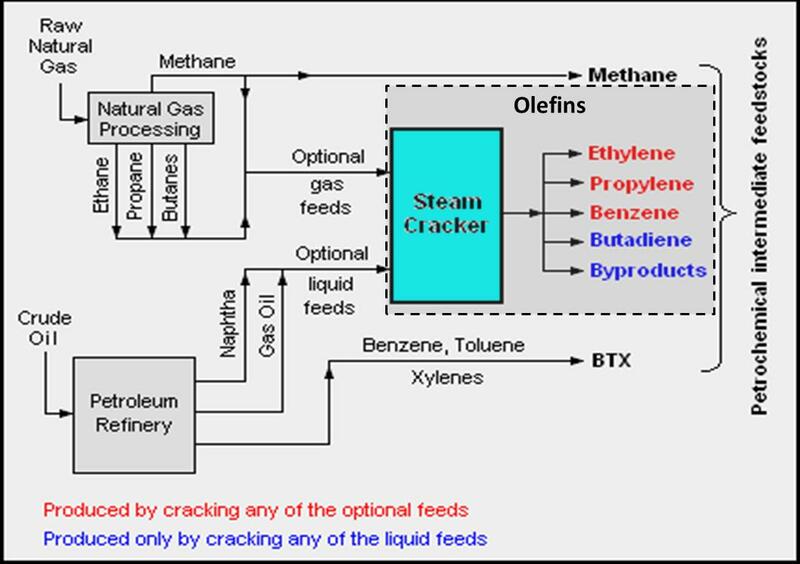 Mainly produced as byproducts from Ethylene by Ethane by steam cracking at high temperature (900°C), the Butadiene can also be obtained by Butane dehydrogenation or from Ethanol. Polybutadiene is also used in tyres and can be used as an intermediate in the production of acrylonitrile-butadiene-styrene (ABS). ABS is widely used in items such as telephones, computer casings and other appliances.